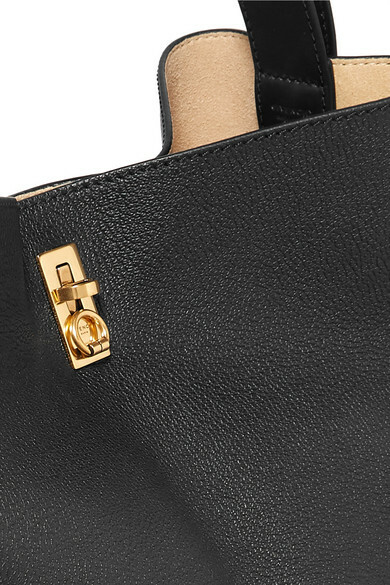 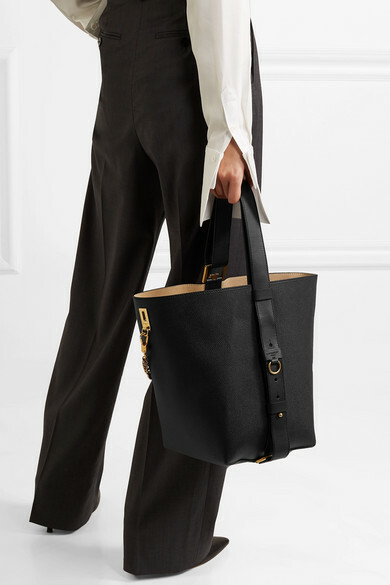 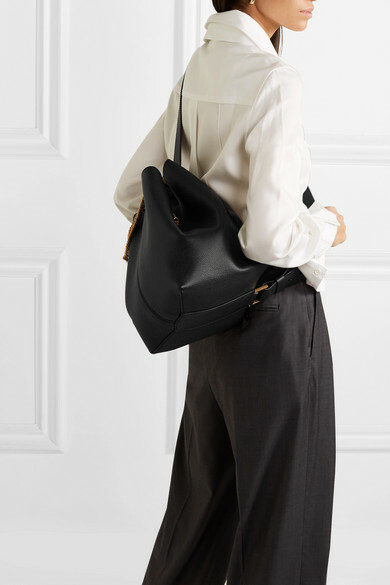 Crafted in Italy from supple textured-leather and suede, Givenchy's 'GV Bucket' bag is sized to carry your larger essentials with ease - think a laptop, documents and a cosmetics case. 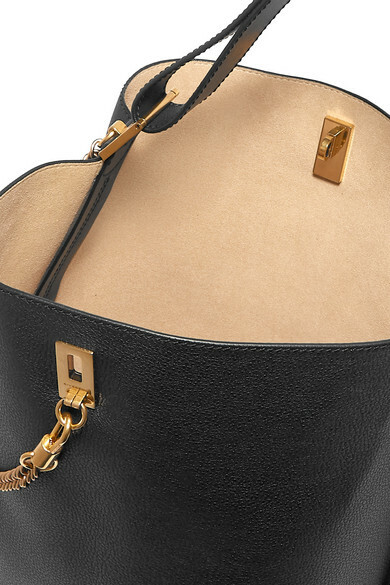 It's detailed with a glossy gold-tone chain that loops onto the twist-lock fastening. 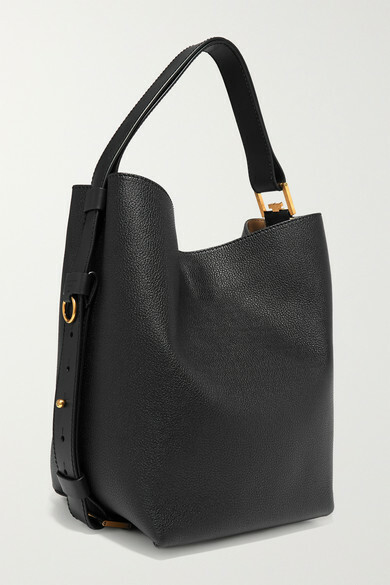 Carry yours in-hand or adjust the strap to style crossbody. 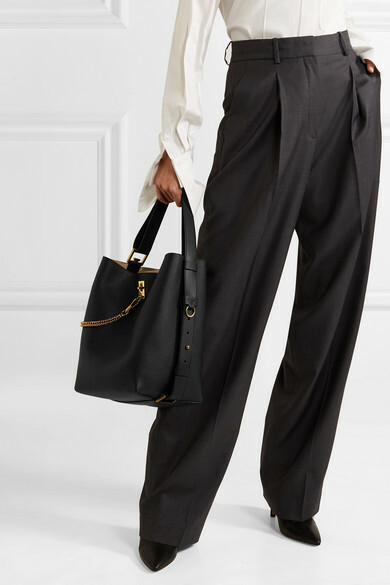 Shown here with: Peter Do Shirt, Theory Pants, The Row Ankle boots, Leigh Miller Earrings.